(04/03/19) POLLOCK, La. — Continuing a legacy in agricultural education excellence lasting 38 years, the Cooperative Enterprise Teen Leadership Conference celebrated several firsts this year. Formerly known as Louisiana Co-op Youth Conference, the event was held March 29-31 at the LSU AgCenter Grant Walker Educational Center in Pollock. ”This event empowers students to learn about the cooperative business model and free enterprise. In the process of working together to plan their businesses strategy and overcome challenges, participants sharpened their creativity, leadership, team building and communication skills,” said Christina Hebert, AgCenter college and career readiness specialist. The conference drew nearly 100 4-H and FFA members from across the state, Hebert said. 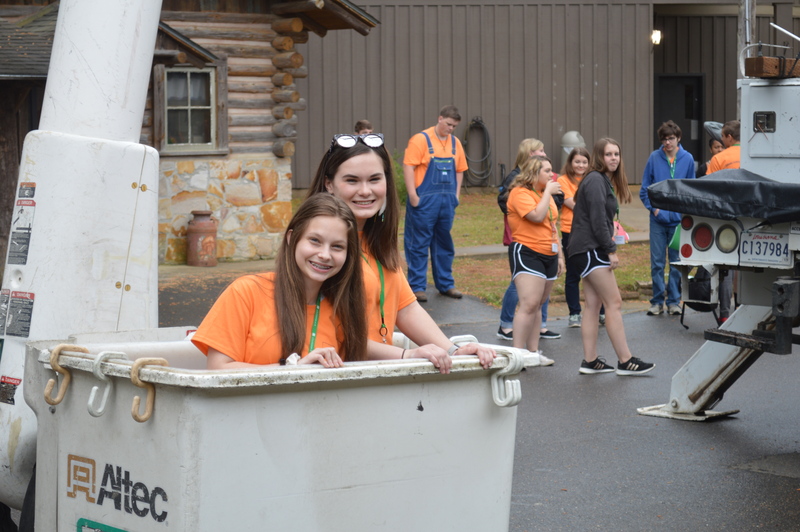 Besides the name change, the event brought Louisiana 4-H and FFA members together for the first time in many years to explore the cooperative business model through hands-on experience. Historically, FFA had a large presence at the conference with the expectation a high level of participation will return, said Louisiana FFA executive secretary Cade LeJeune. The state’s Jump Start Agriculture Tech credential certification requirements include components on entrepreneurship and the cooperative business model, and entrepreneurship has always been an important component of agriculture education, LeJeune said. “It is a perfect fit. I wish every ag department in the state could be here,” he said. Longtime conference donor CoBank raised its support by offering a breakout session on how cooperatively owned financial institutions provide loans and financial services to agriculturally based businesses and rural public utilities. CoBank credit analyst Katherine Reed said seeing young people taking the initiative to get involved in agribusiness and cooperatives has been a rewarding experience. “I’m very impressed that students would even think to ask some of the questions and are interested not only in learning about cooperatives but also things like what I do and how I came to be in my position,” she said. 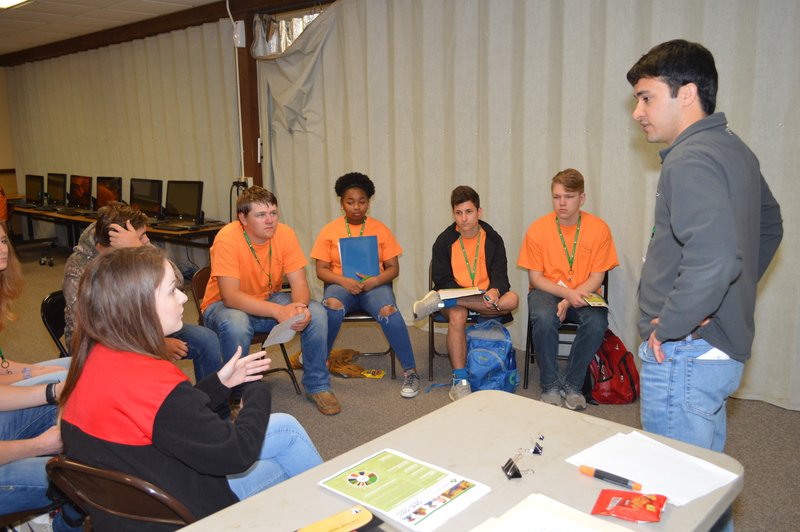 St. Martin Parish 4-H’er Alex Meche said he learned about the different types of cooperatives and how they serve rural areas or communities that cannot otherwise get some products or services. “When I first thought of a co-op, I only thought of businesses that were agriculture related, not something having to do with electricity or a utility or service,” he said. West Ouachita High School senior and FFA member Kerington Bass said she never realized that she was a member of an electric cooperative. “Now I know how much power I actually have in the company, what they do and what I can do to help the company grow,” Bass said. The weekend program organized students in teams to work together to form and operate two cooperative businesses, elect board officers, hire employees, sell stock in their companies and pay cash dividends to their members. “This is only the second year we have had competing co-ops, which brings in a different dynamic,” said Lenny Waguespack, First South Farm Credit vice president. By segregating products among the cooperatives, he said, students learn more about marketing and how buying stocks and receiving dividends really work. Some students even bought stock in both co-ops so they could receive credit as members for their purchases. Eighteen conference delegates were selected by their peers to participate in an interview process and compete for awards and trips. 4-H’ers Calvin Domangue, from St. James Parish, and Clay LeBlanc, from Iberville Parish, placed in the top two spots to win the 4-H educational award trip to Chattanooga, Tennessee. Six $50 cash awards were presented to Alex Meche, from St. Martin Parish; Jacob Rogers, from St. Mary Parish; Anna VanDeven, from Tensas Parish; Sarah Hammonds from Bossier Parish; John Garrett Patrick, from Concordia Parish; and Colton Tilley, from Cameron Parish. The conference is sponsored by the LSU AgCenter, Louisiana Council of Farmer Cooperatives with support from the Association of Louisiana Electric Co-ops (ALEC), CoBank, First South Farm Credit, the Louisiana Land Bank and Point Coupee Electric. ALEC communications director Billy Gibson said the program is an example of the spirit of cooperative business and how supporters have stepped up in a cooperative fashion to sustain the conference. “That’s what we are here to learn about, and everyone has demonstrated that by working with us in the spirit of doing whatever needs to be done,” Gibson said.